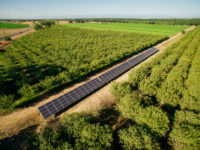 Both types of energy systems (off-grid and grid-tied) generate energy through solar panels. But an off-grid system is fully independent from the electrical grid. 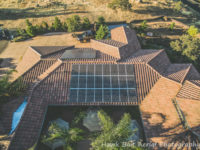 In addition to collecting energy through your solar panels, your off-grid system will rely on its own supply of backup energy. How does off-grid solar work? 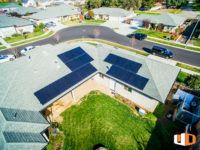 Your solar panels will collect backup energy whenever possible, such as during the summer when daylight hours are abundant. Then, on days when there isn’t much sunlight, your system will use its backup energy rather than pulling energy from the grid. What does an off-grid system need? An off-grid system requires a battery in order to store electricity. Each battery should last up to 12 years. 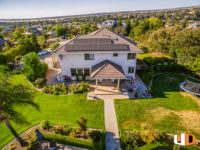 Keep in mind that depending on the size of your home and the amount of electricity you need to generate, your project may require more than one battery. What type of system is the best choice? In order to decide what kind of system is best for your home, it’s important to know how much electricity you use. Be sure to take into account your daily usage, annual usage, and seasonal fluctuations. 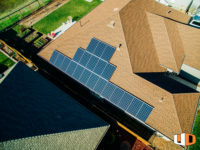 We’d be happy to help you make the switch to solar. Contact us for a free quote and more information about what kind of system will work best for your home! 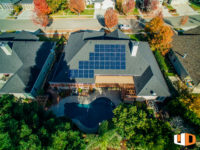 We have an “extra-mile” mentality with continued concentration on keeping our customers at ease during the entire solar installation process. We work with you every step of the way, and our crews are friendly and efficient. PACE financing covers 100% of the upfront costs including project development. Installing solar panels can cut your electrical bill in half or more and your saving will offset the cost of solar installation. We are proud of our honest reputation, devotion to quality and guaranteed lowest pricing. Enter your information to get a free, no obligation quote!